Grab your plasma rifles, spell components, and jetpacks! 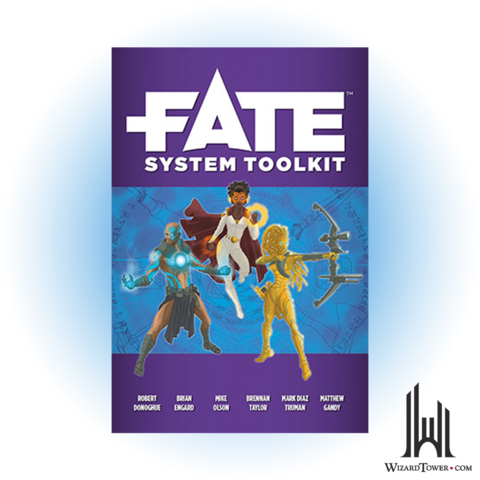 Name your game; Fate Core is the foundation that can make it happen. Fate Core is a flexible system that can support whatever worlds you dream up. Have you always wanted to play a post-apocalyptic spaghetti western with tentacle monsters? Swords and sorcery in space? Wish there was a game based on your favorite series of books, film, or television, but it never happened? Fate Core is your answer. Fate Core is a tabletop roleplaying game about proactive, capable people who lead dramatic lives. The type of drama they experience is up to you. But wherever they go, you can expect a fun storytelling experience full of twists…of fate.